The Bay Area Writing Project is thrilled to be partnering with Polychrome International Education (DBA: Sesame Consulting) on their International Pre-Collegiate Program (IPCP). Please read about this exciting opportunity below. 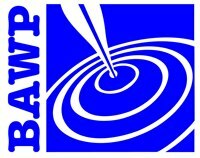 The Bay Area Writing Project (BAWP) is supported by UC Berkeley’s Graduate School of Education. In our program, students will write several short pieces and will practice academic writing during the course of the week. There will be some assigned reading and media related to selected topics. Students will have a mix of small group activities, individual conferences, and whole class interactive activities. Duration: 3 weeks. We ask students to arrive on campus one day prior to the program start date for orientation. English Proficiency Requirement: All the applicants will take IPCPEPT as a placement test to determine the English proficiency. Insurance: All the applicants need to provide valid health insurance to cover any medical expenses that may occur while studying in the USA. *Afternoon topics are subject to change. The topics are flash fiction, writing the personal statement for the college application, digital storytelling, or inspirational writing.